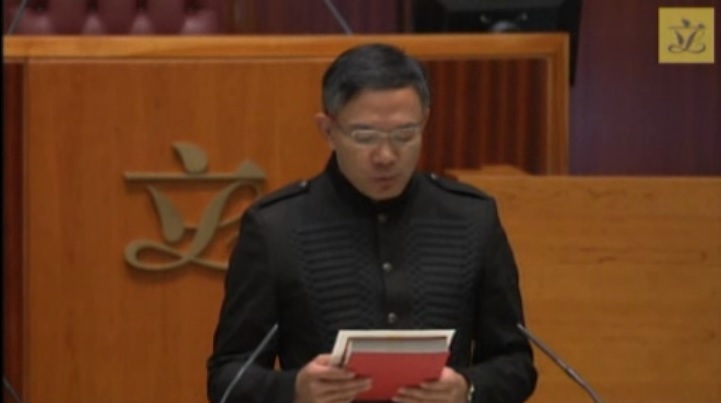 There were 19 oath-taking Christians in last week's LegCo swearing in, 7 non-religious oaths, and 44 affirmations. So who believes in a higher power than Beijing? "The person taking the oath shall hold the New Testament, or, in the case of a Jew, the Old Testament, in his uplifted hand, and shall say or repeat after the officer administering the oath the words "I swear by Almighty God that ", followed by the words of the oath prescribed by law." "Provided that, in the case of a person who is neither a Christian nor a Jew, the oath may be administered in any manner which is appropriate to his religious belief"
"A person who is neither a Christian nor a Jew shall be permitted to make his affirmation instead of taking an oath for any purpose for which an oath is required by law." "I, [name] , solemnly, sincerely and truly declare and affirm"
and then proceed with the words of the oath prescribed by law, omitting any words of imprecation or calling to witness." In other words, without the god stuff. This alternative actually harks back to the English law Quakers Act of 1695. Of these, Martin Liao held the Bible but omitted "by almighty god" from his oath. 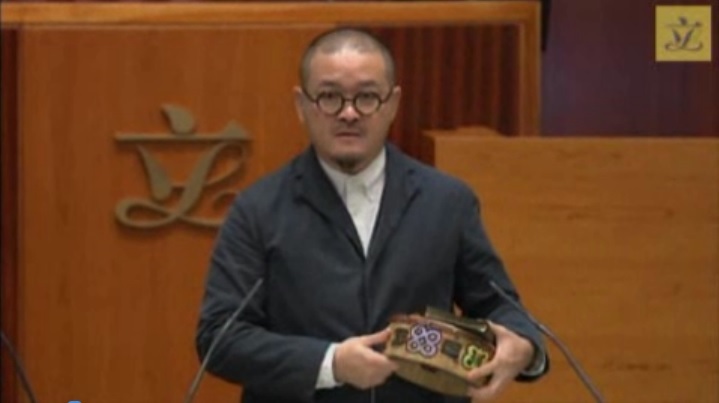 Each of Lam Cheuk Ting, Ted Hui and Roy Kwong didn't hold the Bible "in his uplifted hand" as required, and Shiu Ka Chun held the Bible and a tambourine which he proceeded to use after the oath to commemorate the umbrella movement. 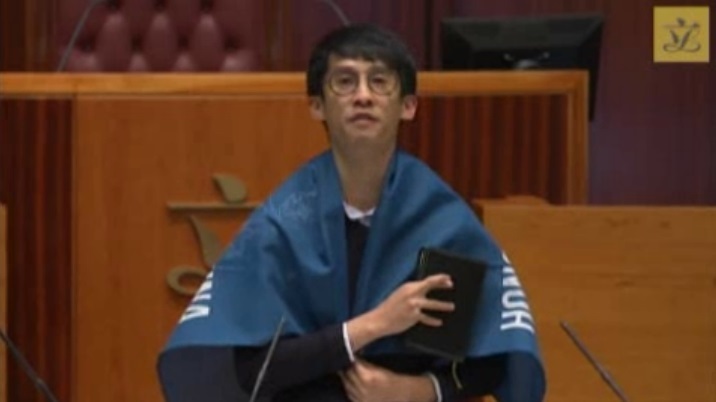 Incidentally, only 5 legislators gave their oaths or affirmations in English, the other official language of Asia's World City, namely: Abraham Shek/Razack (real estate), Kenneth Leung Kai Cheong (accounting), Claudia Mo Man Ching (who wins our award for the most cheerful oath or affirmation), Sixtus Leung and Yau Wai Ching - although the latter two were disqualified. And the irrepressible "Dr" Elizabeth Quat is back.